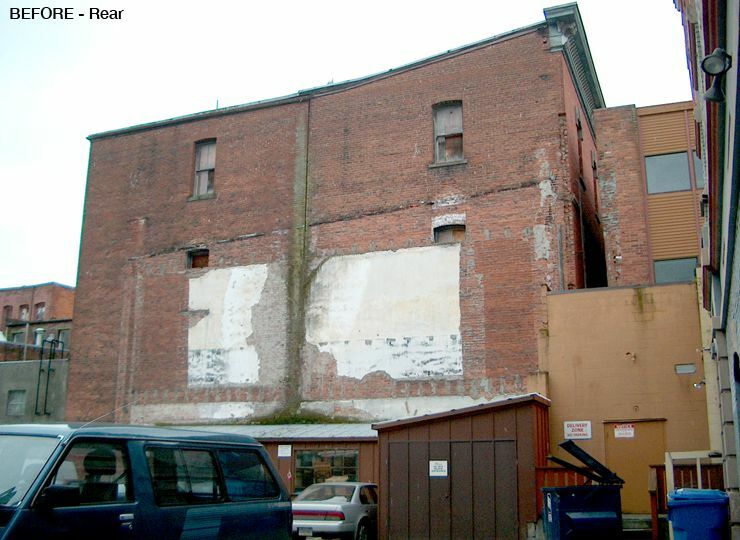 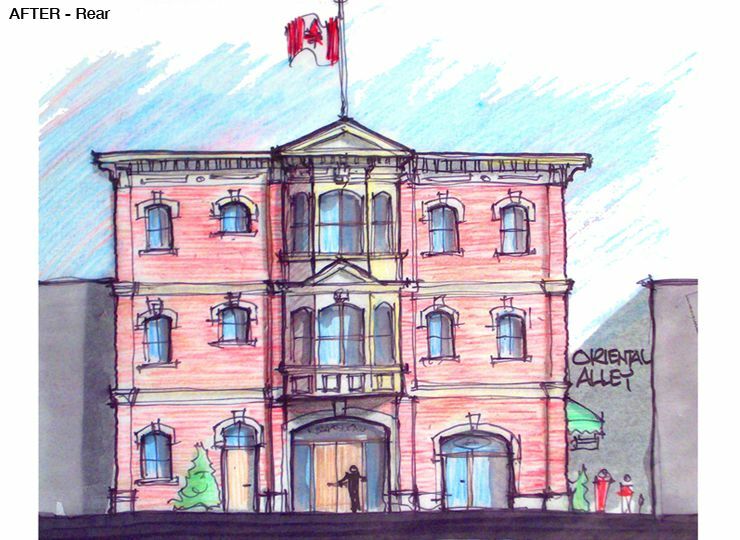 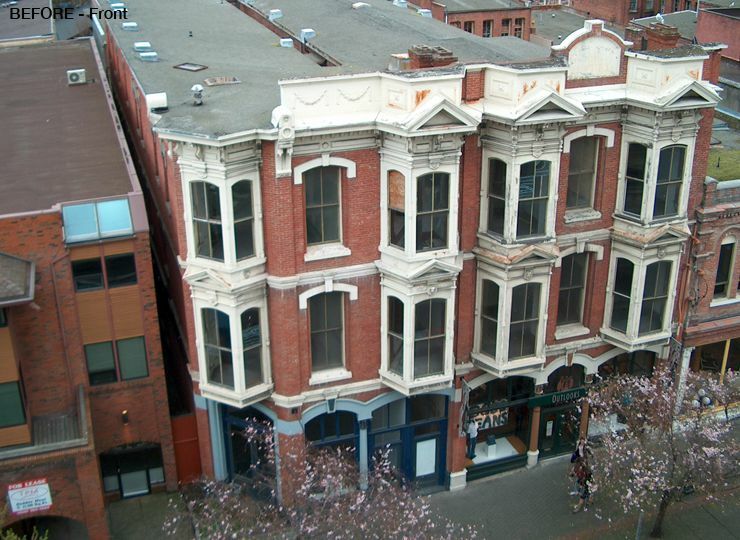 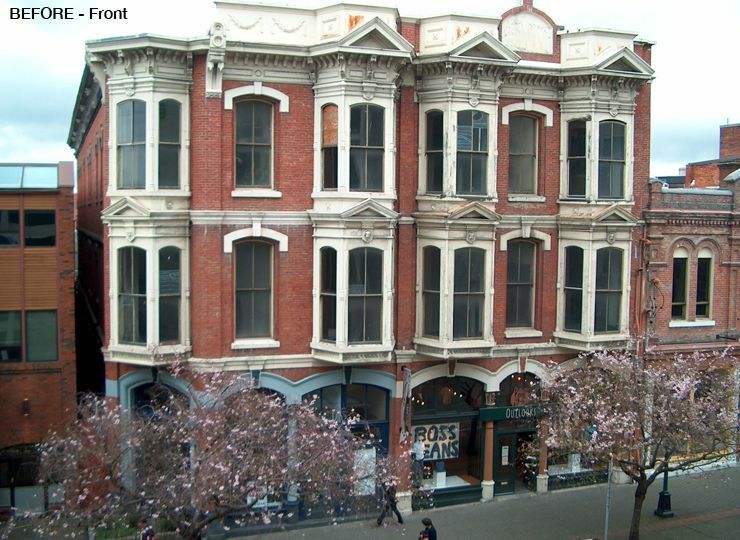 A formally magnificent 1890’s brick structure with a checkered history in downtown Victoria was rapidly becoming derelict. 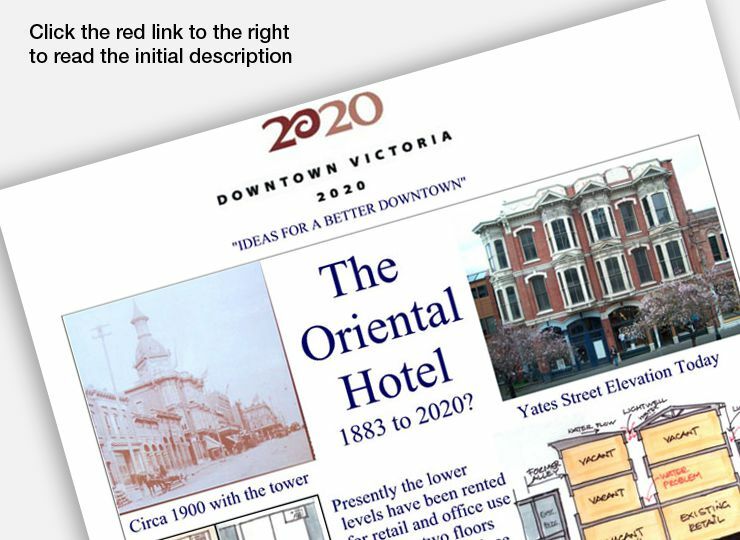 This design proposal was presented at a Heritage conference in Victoria. 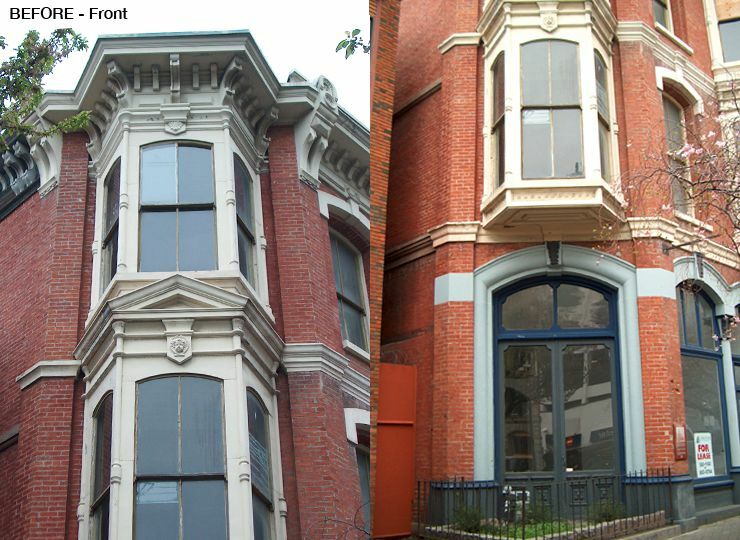 Since then a developer has restored the building to its former glory. 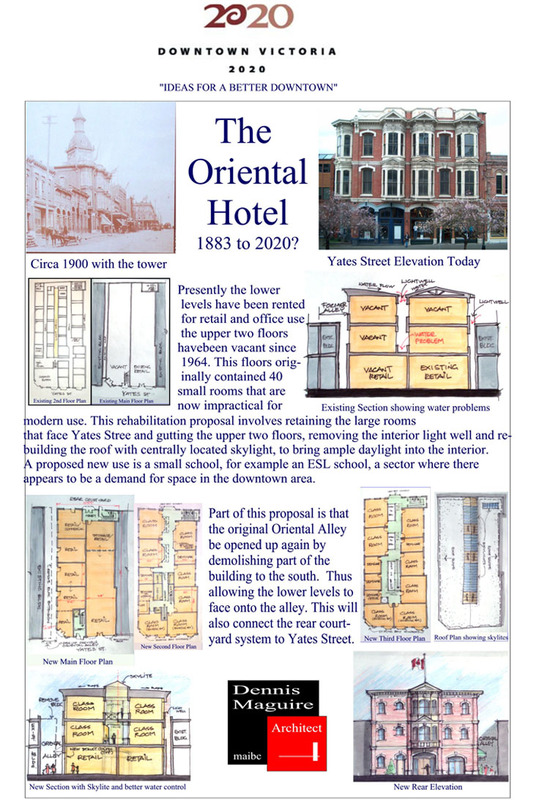 Read the Oriental Hotel proposal.